Hard Rock Cafe Launches. 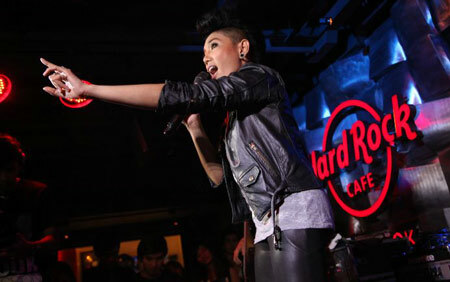 – architectkidd co. ltd.
September 6, 2011: The Hard Rock Cafe in Bangkok officially re-opens today with a launch party. Architectkidd was on hand to take part in the event. 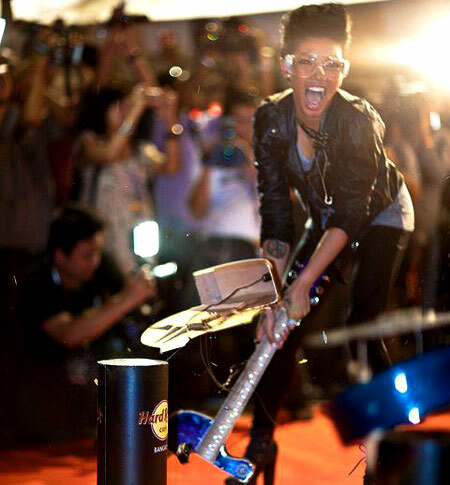 Apparently it is a Hard Rock ‘tradition’ to celebrate the launching with something called a ‘guitar smash’. 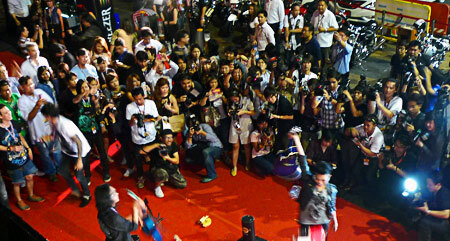 After the ceremony outside, there was a performance by Thai Music Superstar Da Endorphine on the newly-designed stage. 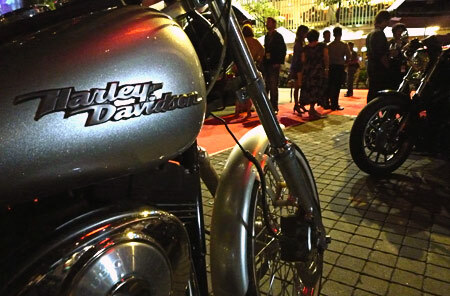 On hand in the front were a gang of bikers showing their collection of Harley Davidsons. Final architectural and design images for this project will be posted soon. In the meantime, to see some more pics of the launch party and the new interior, visit Hard Rock Cafe Bangkok’s Facebook page here. 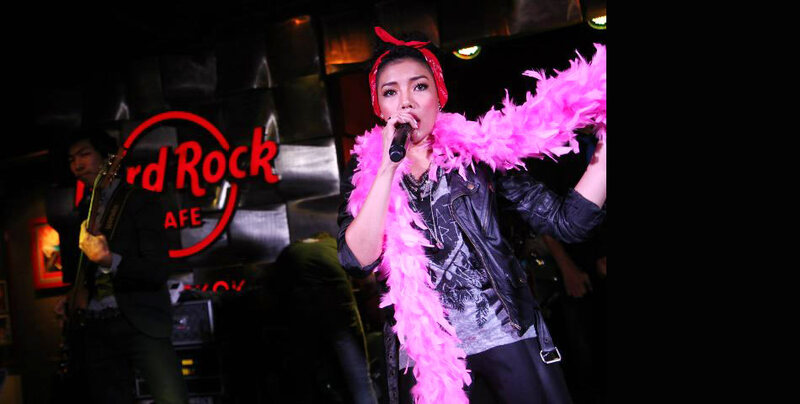 Photos courtesy of Hard Rock Cafe Bangkok and Tiger Babe Photo.